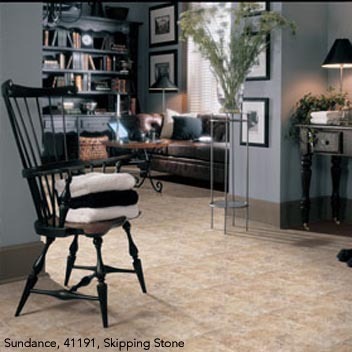 Description: Reminiscent of ancient cobblestone, Sundance has character, depth and beauty found in natural stone. This 9” stone pattern has rich patina with realistic detail and texture. This realistic pattern brings the outside in.